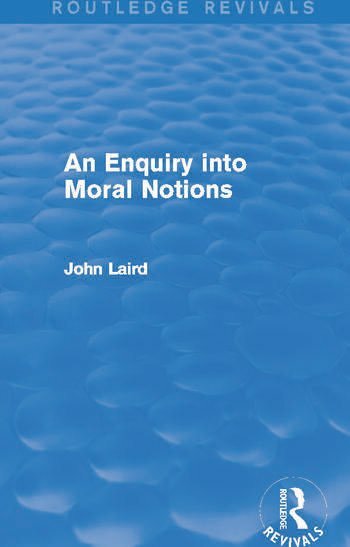 First published in 1935, this book compares and examines what John Laird termed the ‘three most important notions in ethical science’: the concepts of virtue, duty and well-being. Laird poses the question of whether any one of these three concepts is capable of being the foundation of ethics and of supporting the other two. This is an interesting reissue, which will be of particular value to students researching the philosophy of ethics and morality.